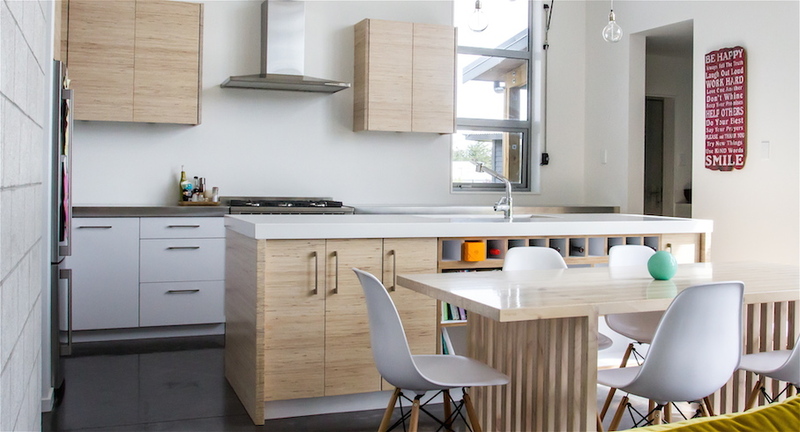 As part of a greater new build, the design of this Martinborough kitchen was a collaboration between the client, the architect and Mano. 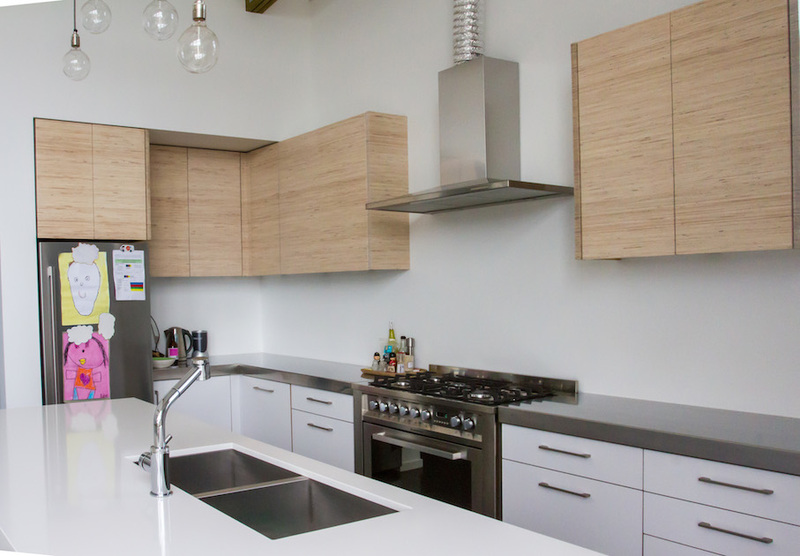 The final kitchen design had to be confirmed before the house had been built, based on architectural drawings and the client’s specifications. 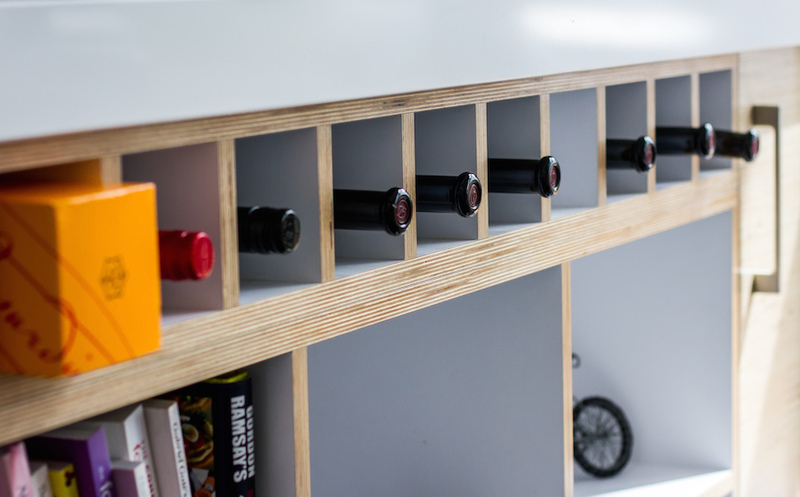 Mano consulted with the client and architect on all decisions, suggesting materials, coming up with space-saving solutions to incorporating a spot to store their burgeoning wine collection. 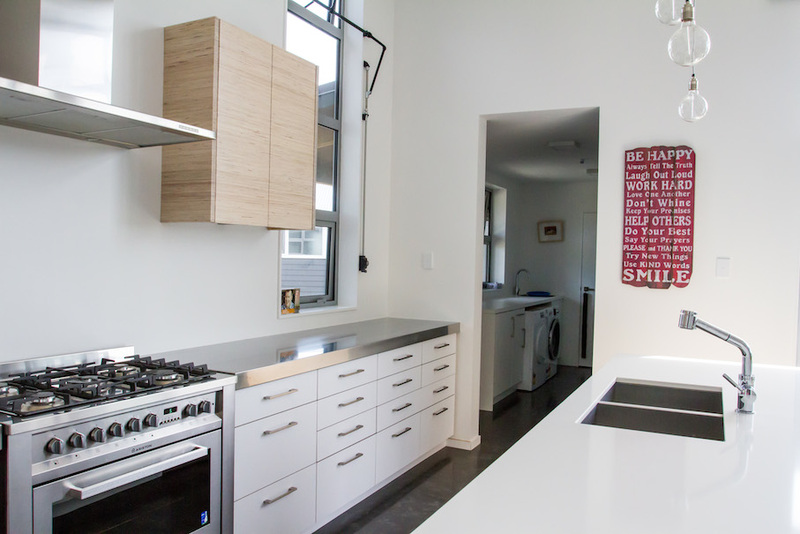 The central island is topped with engineered stone contrasting with the stainless steel bench tops around the walls. 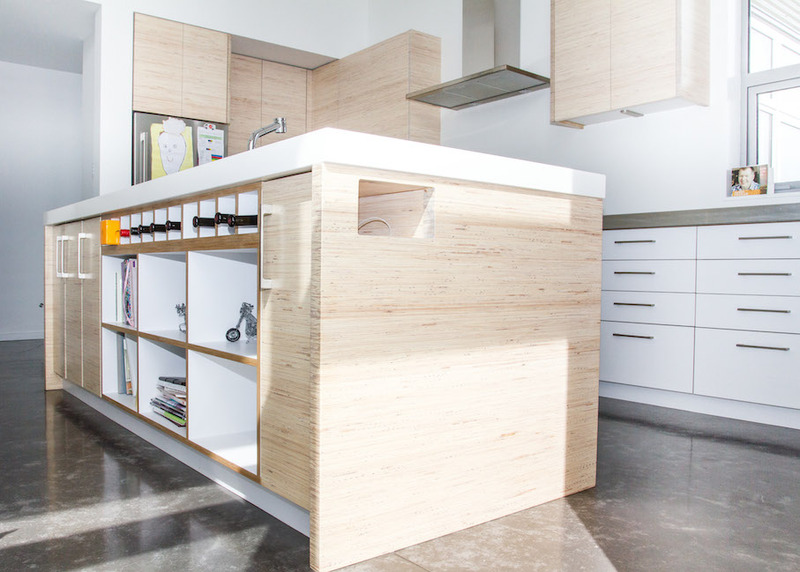 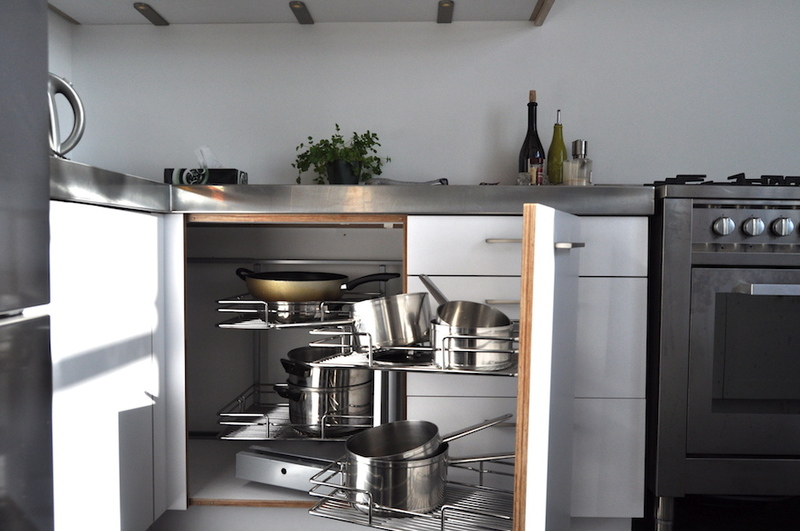 The upper cabinet fronts are from horizontal laminated plywood, whitewashed to match the island top. 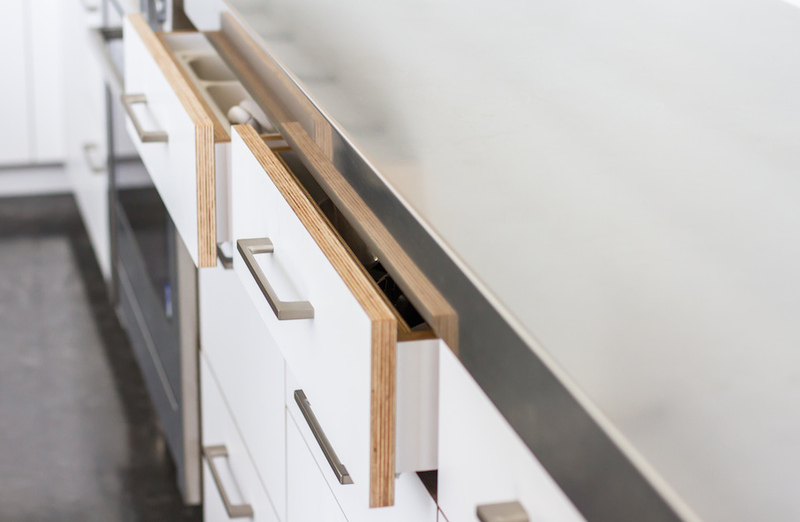 This is complimented by the lower cabinetry fronts that show exposed plywood edging.